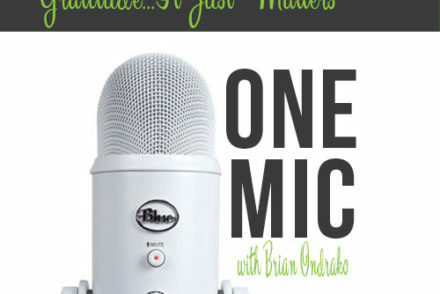 On this One Mic session I go a bit deep on how lucky we all are to even be on this planet and have the opportunities that we do. What type of outlook do you want to take into each and every day of your life…positive or negative? A lot of that starts with gratitude. 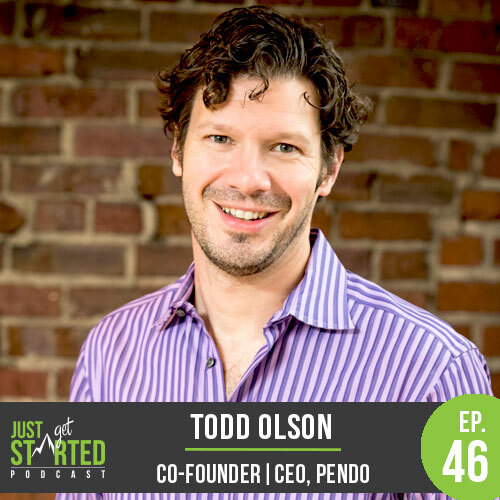 One of the people on the “short list” I wanted to speak with was the Co-Founder and CEO of Pendo, Todd Olson, and was thrilled when he accepted my invitation. Todd lives right in my backyard in the Raleigh-Durham area of North Carolina and I have been an admirer of Pendo for many years. 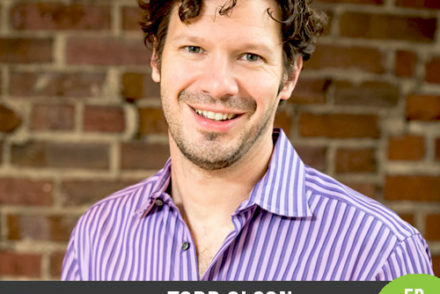 Todd and I have some mutual connections but we’ve never had the opportunity officially meet before. I was interested to understand how he came to be a Co-Founder of Pendo, how they’ve scaled, and what lessons he learned early in life that has propelled him to this success. We cover those topics and more on this episode of the Podcast! 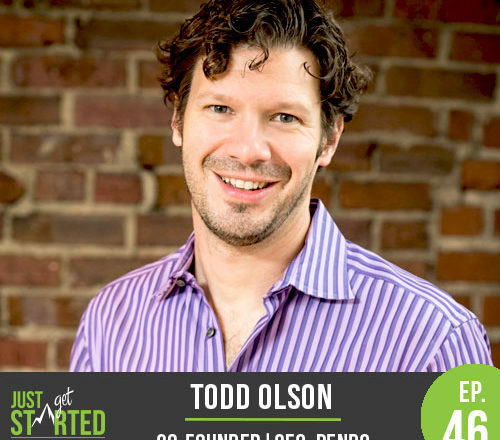 Todd Olson is co-founder and CEO of Pendo, a product experience platform that helps product managers deliver successful products. Before Pendo, Olson served as VP of products at Rally Software Development which he led through its public offering. 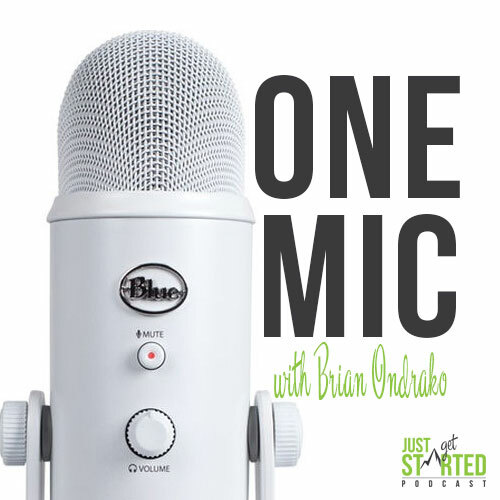 On this One Mic Session I talk a bit about the journey to getting started with whatever you are trying to tackle and share some insights to set you up for success early on and keep it going. 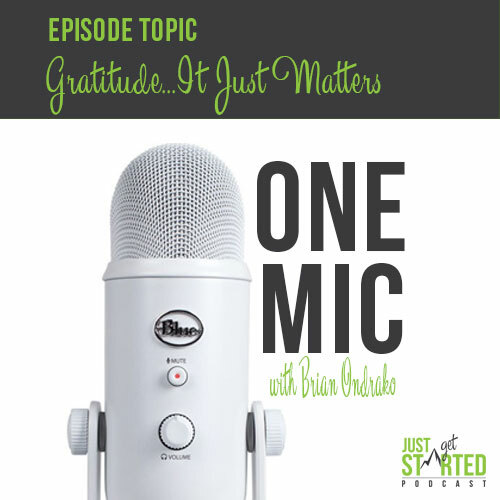 I share some insights I’ve learned from over the years and from my many guests I’ve interviewed and hopefully some of the tips will be helpful for your journey. 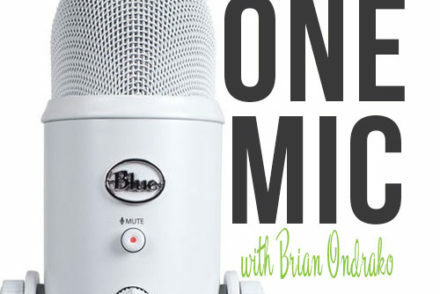 Pheww…My first One Mic Session is in the books. Excited to start sharing some insight and thoughts with the audience and I hope you all enjoy my perspective and have some takeaways.from this one. If it was good, please let me know. If it is was horrible, please let me know that too! 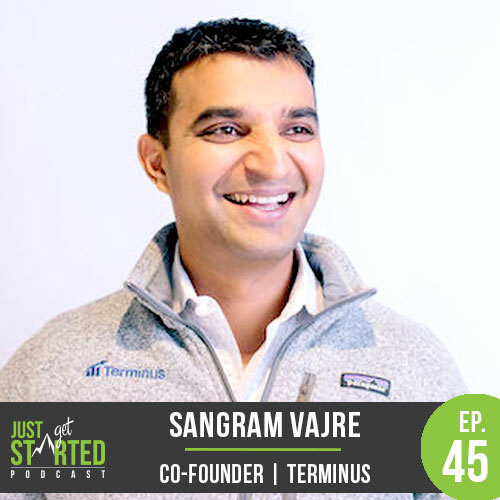 Had the pleasure of welcoming Sangram Vajre, Co-Founder of Terminus, to the Just Get Started Podcast. I met Sangram 4-years ago and it’s been a thrill to see his company and the entire account-based marketing movement grow during that time. Sangram shares a lot of his insight on marketing, being apart of a growing company, branding, and much more. If you get a chance to listen I hope you enjoy! Author #ABM, Chief Evangelist & Co-Founder Terminus, Founder & Host of the daily #FlipMyFunnel podcast. Sangram is an author, keynote speaker, 3x CMO, host of the daily #FlipMyFunnel podcast, entrepreneur and above all, category maker. He wrote the book on Account-based marketing published by Wiley and also the Founder of #FlipMyFunnel movement. He is the co-founder and CMO of Terminus, a leader in account-based marketing raising over $20M in funding. Prior to that Sangram ran marketing at Pardot through the acquisition of ExactTarget that got then acquired by Salesforce for $2.5B dollars. Born in India as a serial D and F student, Sangram came to the United States at the age of 25 to do his Masters from the University of Alabama in 2002 with just $350 in his pocket. Crazy right!?! Sangram then finagled his way to work at Deloitte Consulting and then jumped around at startups and early-stage companies. 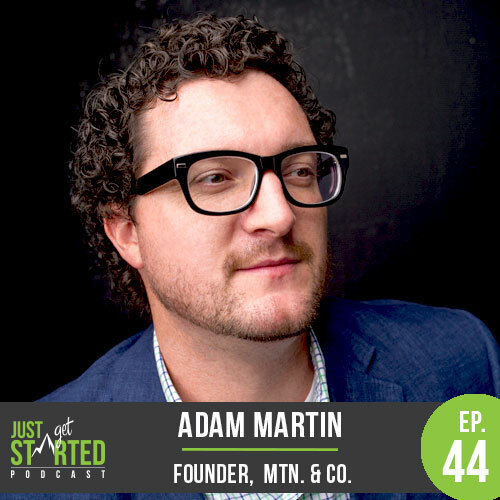 His career skyrocketed as he got the opportunity to run marketing at Pardot and led it through the acquisition of ExactTarget. While he was leading Marketing, Salesforce acquired ExactTarget for $2.5B dollars and that’s when Sangram learned how to scale a business and what category making is all about. 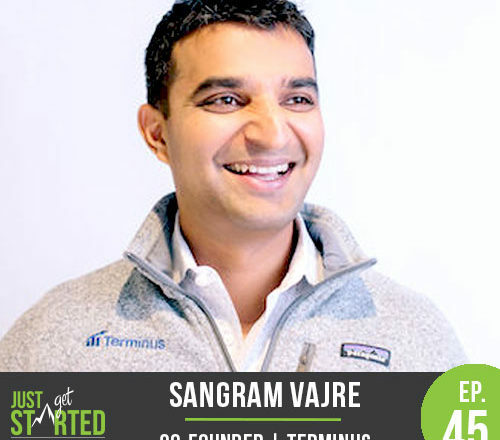 Sangram then co-founded Terminus, a leader in Account-Based Marketing that raised nearly $20M in funding and is one of the fastest growing companies in the MarTech industry. Hands down! To help establish the Account-based Marketing (ABM) category, Sangram authored the first book on ABM published by Wiley. 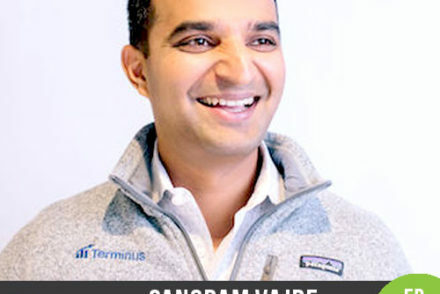 Sangram is also the founder of #FlipMyFunnel movement and with a mission to build the largest and most engaged community of B2B professionals in the world. Dig that?!? Join the #FlipMyFunnel community and challenge the status quo. Most recently, Sangram kicked off an ambitious project called the daily #FlipMyFunnel podcast that has a different theme every single day. Yep! Thanks to you, the #FlipMyFunnel podcast is now ranked in the top 20 podcasts in the business category next to Gary Vaynerchuk and The Tim Ferriss Show with five-star ratings. How crazy is that?!? Loving it and can’t wait for you to tune in. Let me know what you think! Sangram shares his learning, passion, and interviews as an Inc. columnist and the daily #FlipMyFunnel podcast show so join the movement! 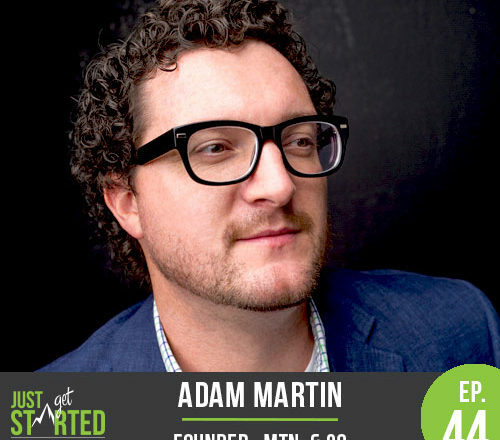 So stoked to launch episode 44 of the Podcast as it features Adam Martin, a talented graphic designer and host of the Makers of Sport Podcast. 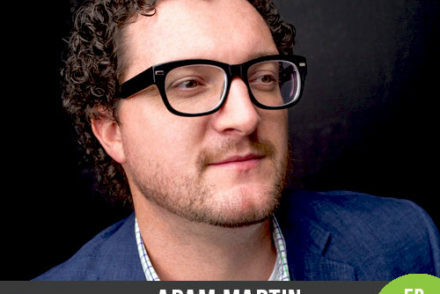 I met Adam for the first time in 2015 at the Major Level Creative (MLC) Connect Design Conference and we got into a deep conversation about Podcasting and it lit a fire under me that pushed me to creating this Podcast. Adam is a talented graphic designer and has run a successful design firm for many years where we works closely with many folks in and out of the sports world. Hi, y’all. I’m Adam. I’m a designer, creative director and podcaster in Kentucky. I founded the creative studio, Mtn. & Co., an independent brand and interactive design studio for the sports & entertainment business. As principal & creative director, I design, develop business relationships and manage a team of trusted collaborators on art direction, visual design, typography, UX/UI, web development, photography, content creation, copywriting and more. Sport—specifically its ability to influence culture and bridge generations—excites me. In fact, I created a podcast to capitalize on this excitement called Makers of Sport®, a show about design, creativity and makers in the sports business. Throughout my 10+ year career, I’ve had the pleasure of working with many brands in sport or otherwise including IMG Worldwide, PGA Tour, Kansas City Chiefs, SLAM Magazine, 3d Lacrosse, Matt Carpenter (St. Louis Cardinals), JMI Sports, the Texas Longhorns, the Michigan Wolverines, the Kentucky Wildcats, the Tennessee Volunteers, the NCAA, the Southeastern Conference (SEC), the John Wooden Award, Jim Beam Brands, Girl Scouts of America, Toyota, Scion, Raising Canes, Smashburger and many more. I’ve been blessed to win awards from or be published in the American Advertising Federation (ADDYS), Graphic Design USA (GDUSA) magazine, PRINT magazine, College Sports Information Directors of American (CoSIDA), UniWatch, SportTechie, Apple Podcasts, Adidas Group Blog and Product Hunt. I enjoy speaking and have moderated panels, been interviewed on podcasts or given a few talks. Recent speaking engagements include: Major Level Creative Connect, AIGA Richmond, the University of Kentucky’s Gatton College of Businessand College of Art & Visual Studies, the Lexington Chapter of the American Advertising Federation, and the Von Allmen Center for Entrepreneurship at the University of Kentucky. 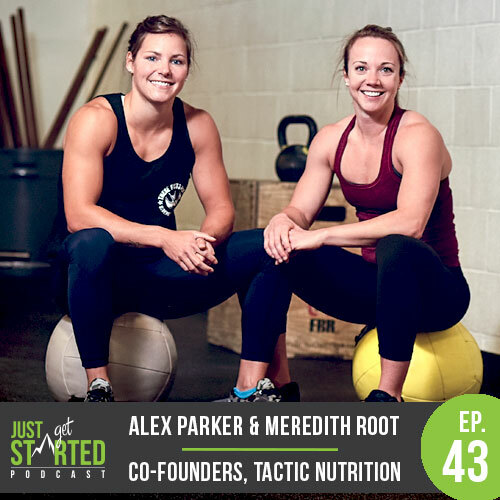 Episode 43 features the Founders of Tactic Nutrition, Alex Parker and Meredith Root. We cover a whole mess of topics on how they got into CrossFit, Pursuing the business full time, thoughts on nutrition, why they are not competing in this years CrossFit Open and much more. Hope you all enjoy this wide ranging conversation! I have always had an interest in sport performance and a strong desire to learn about performance nutrition and health to apply to my own life. As a nutrition and lifestyle coach, I use my knowledge to help others reach their own health and fitness goals. I have always been interested in human behaviour. The fact that there are many facets involved in a person’s relationship with food, makes nutrition coaching a gratifying and desirable field. I am a lifelong athlete, having competed in a variety of high level sports including alpine ski racing, golf and soccer. I am now dedicated to the sport of CrossFit. I have competed at The Crossfit Games and many times at Regionals. My own experience in sport and life has helped me realize how important it is to fuel your body properly. I have experienced significant benefits from eating basic, healthy food in the right amount to support my lifestyle. I was able to greatly improve my sport performance, health, daily wellbeing and relationship with food. It’s true, you are what you eat. It is incredibly rewarding to help others experience the positive effects of eating right and eating the right amount, while also maintaining balance and flexibility in doing so. With a background in engineering, I take a scientific approach to performance and nutrition which I combine with my experience as an athlete and coach to help people achieve their fitness goals. A scientist and engineer by trade, I spent six years working in research and development within the biopharmaceutical industry. This experience taught me to think and observe objectively and cultured my keen attention to detail. In addition to being a lifelong student, I am a lifelong athlete as well! The combination of these two passions has led me to where I am as an athlete and coach. I have competed at The CrossFit Games and many times at Regionals. I was ranked top 10 as a USAW Olympic weightlifter (53 & 58kg) with multiple appearances in the American Open and Nationals. I have a particular interest in the performance impact of sports nutrition as well as the mental component of coaching and training. I have seen first hand the benefits that a practical and appropriate diet can have on performance. It is my goal to share my knowledge and experience in a way that helps people fuel their bodies and rebuild their relationship with food. 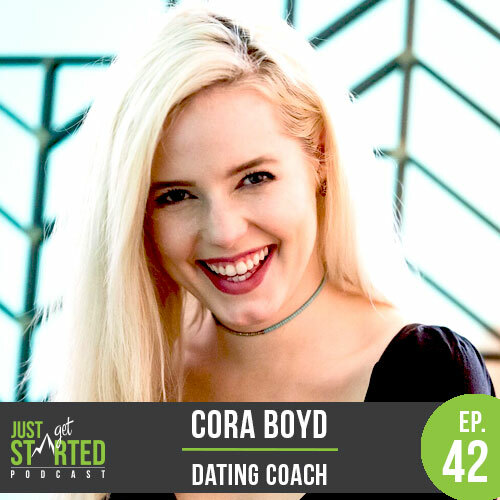 Had a great interview with Dating Coach Cora Boyd on the latest installment of the Just Get Started Podcast. 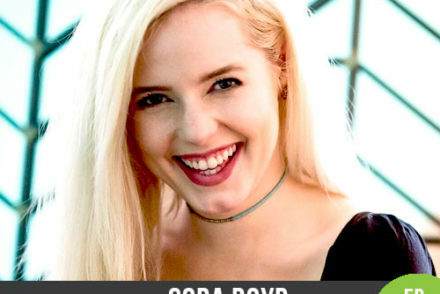 I got in touch with Cora through the Next Gen Community and it was neat to talk with someone running something different than a tech or product company to change things up on the Podcast. I think you all will get a lot out of this episode and really enjoy the dialogue! Had a wonderful time speaking with the Founder & CEO of the up and coming Podcasting platform called Pippa. 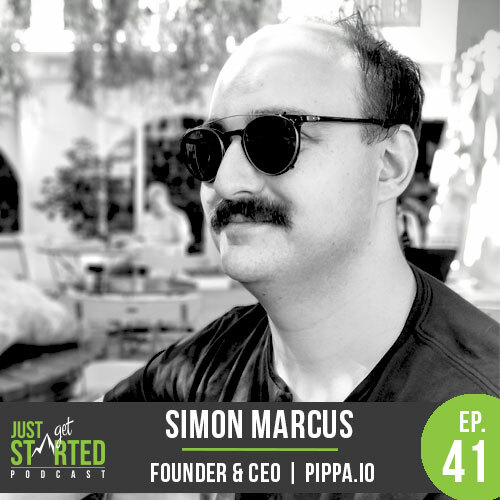 I’ve been thrilled with the platform and ease-of-use and wanted to pry deeper into Simon’s journey and background and why he decided to start this company. Very intriguing episode and really showcases the fact that as long as you keep working hard in life and being curious that doors and opportunities can open. Originally from South Africa, Simon is persistently curious: he came to NYC to attend NYU for grad school in philosophy, then completed studies in math and finance, before leaving the classroom to pursue his passion for media and technology. Simon is an analytically driven leader with experience at TED, the Clinton Global Initiative, and K2 Intelligence. 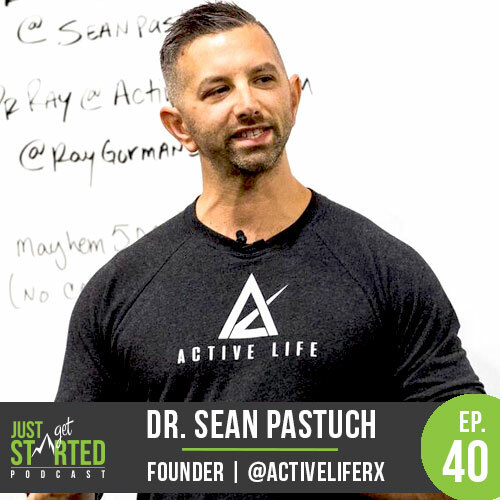 Had a blast in Episode 40 chatting with Dr. Sean Pastuch about his journey in fitness, being a Chiropractor, going into Personal Training, and growing his business successfully over the last several years. Sean absolutely brings it in this episode and provides a ton of advice around fitness, business, and personal growth. Can’t wait for you all to listen in! Dr. Sean Pastuch, DC, grew up around the fitness, health, and wellness industry. And when he graduated Chiro school, he ended up opening a clinic and a CrossFit gym. He didn’t want to be that Chiro who tells you, “You need to this exercise and be on “X” program.” Then, pat you on the back and say see you next week. He works with people and athletes, who don’t want to deal with pain and injury anymore. And at the same time, don’t want to stop their training or don’t want to keep modifying their workouts every time there’s a workout that has overhead movements. 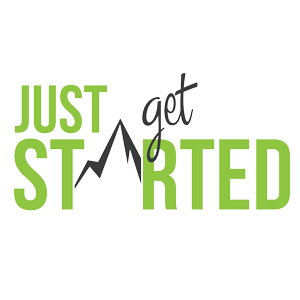 With hands-on experience running a gym that does functional movements and treating people with injuries or previous injuries, which surface from having to move functionally, Sean started getting busier. And because of his unique approach he also started getting requests from clients that used to see him but moved to another city asking for workout programs.